Vince Russo's The Brand Recap - RAW & Smackdown Analysis, Russo Embarrassed by WrestleMania Crowds, WWE Creative Failing Elias, More! 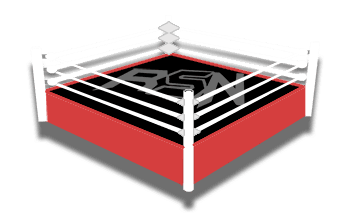 Vince Russo’s The Brand Recap – RAW & Smackdown Analysis, Russo Embarrassed by WrestleMania Crowds, WWE Creative Failing Elias, More! Russo is joined on today’s show by his co-host, Jeff Lane, Bin Hamin, & Stevie Richards. Russo opens today’s show by talking about the opening segment of RAW this week. He points out that he’s not a fan of Stephanie McMahon in real life so it’s very hard for him to say nice things about her, but he thought she did a good job at WrestleMania. However, on Monday night he thought her over-acting was so bad, and this brought the segment down big time. Russo and Hamin are concerned with Stephanie’s apparent refusal to make herself look foolish in order to get Ronda Rousey over. Hamin thought Rousey should have attacked Stephanie’s good arm on RAW, resulting in Stephanie wearing two casts for multiple months. This could have lead to some great comedy segments, with Triple H having to tend to Stephanie’s every need. Russo points out that Vince McMahon was always willing to make himself look silly in order to get Steve Austin over, and he’s not so sure that Stephanie is willing to do the same for Rousey. Richards thinks that WWE had a plan for Strowman’s tag team partner at WrestleMania but it fell through at the last minute. That’s why they had him tag with a 10-year old on the show. Russo agrees with Richards, saying that he needs to give WWE the benefit of the doubt here. Richards says that he’s sick of performers crying when they win Championships. It seems like every time a talent wins a Title now they’re crying in the ring and he’s seen enough of that. Hamin agrees, and also points out that he hated Cedric Alexander embracing Mustafa Ali after the end of their match at WrestleMania. He compared that to Shawn Michaels embracing Ric Flair at the end of their WrestleMania match, and he thought Alexander and Ali were out of place by doing that during a random match on the Kickoff show. Dinner With the King Recap – Lawler Suffers A Stroke, HOF Ceremony Recap, WrestleMania Thoughts, More!